Holly brings more than 30 years of experience in both New York and Colorado to her practice representing public and private companies and individuals in high-stakes securities litigation and arbitration, shareholder derivative suits, SEC and FINRA investigations and enforcement matters and bet-the-company complex commercial litigation, including class actions. Clients turn to Holly because of her proven track record of obtaining results that meet each client’s unique needs. As a former Director of Arbitrations at the American Stock Exchange, she brings practical knowledge and experience to her arbitration practice representing brokerage industry clients. As a Fellow in the College of Commercial Arbitrators and a Member of the National Academy of Distinguished Neutrals, Holly is also an experienced arbitrator and mediator in securities and complex commercial cases. Holly has been listed in Best Lawyers for Commercial Litigation and Securities/Capital Markets since 2013. She is listed in Colorado Super Lawyers for Securities Litigation since 2011 and Colorado Super Lawyers "Top 50 Women" 2013-2014. 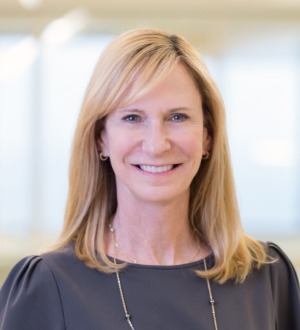 She is the recent past-Chair of Holland & Hart's Securities Litigation, Government Investigations and White Collar Defense practice group and former Chair of the firm's Business Litigation Group. Holly represents clients involved in individual suits and class actions under the Securities Act of 1933, the Securities Exchange Act of 1934, the Investment Company and Investment Advisors Acts of 1940 and state laws, SEC enforcement proceedings and investigations; internal corporate and audit committee investigations, PCAOB matters; and FINRA arbitrations and investigations. Her clients include financial services firms, broker-dealers, hedge funds, investment advisors, issuers, officers, directors, accounting firms, and public and private companies. Holly also represents clients in a myriad of corporate governance disputes including arbitration and litigation dealing with internal organizational disputes and acts of malfeasance for majority and minority shareholders, partners, members, managers, trustees, executives, officers, and directors of publicly and closely held corporations. Her experience includes representation of clients in M & A litigation, shareholder derivative suits, fiduciary liability suits, corporate control disputes, operating agreement disputes, and corporate “divorce.” She has conducted internal investigations and has acted as counsel to Special Litigation Committees and Panels. In addition, Holly's trial practice includes complex commercial disputes involving claims of lender liability, cybersecurity, violations of consumer protection statutes, TILA, FCRA, and TCPA class actions, RICO, COCCA, fraud, negligence, breach of contract, and breach of fiduciary duty. Prior to joining Holland & Hart, Ms. Sollod was a Senior Attorney and Director of Disciplinary Hearings and Arbitrations for the American Stock Exchange, Inc. and practiced at a New York City law firm.